I am without my new car once again. I dropped the car at the dealership effectively “bookending” my weekend with service appointments. I felt positive. They told me the service manager at this new dealership was a “Forester Whisperer,” and could diagnose just about anything. I told them keep it as long as they need. No rush. In fact I didn’t want this car back unless they diagnose what is causing the stutter, which in my mind is directly related to the oil consumption. The car “stuttered” the entire way to the dealership on Friday morning. (Something is happening when the car sits.) And the engine sounds different from drive to drive. It’s amazing what you find out when you reach out to the general public. What did I learn? I’m not alone. These are known issues. I’ve been in contact with several others with the exact same car with the exact same issues. As you would expect, each owner gets a different story from Subaru. “Low rpm stumble,” and excessive oil consumption seem to be tied together in 6-speed manual models. Found this on a forum…..this was written by someone else with the same car and exact same issues. And just tonight, I noticed my engine getting really loud when using it to control my hill descent at around 2500 rpms. I’ll check my oil when I fill up to see if THATS an issue too. Like the above poster, this is the ONLY car that “checks all the boxes” for me. So I’m really bummed out that it’s been such a problem so far. 480 miles on odo. Subaru called me Thursday to tell me they’d call me Tuesday. Then they called me Tuesday to tell me they’d call me Friday. They called me today to tell me they’d call me Monday. Brand new car. $30,000. Doesn’t run properly. And still no answers from subaru. Not a happy customer. I’ve spoken to a Lemon Law attorney in Los Angeles, and the ball is ready to roll. Subaru can play games by saying “We can’t diagnose anything,” but I will just keep returning it to the dealership until they find the actual issue. At this point, in this condition, the car is of no use to me. If you are still thinking of Subaru just don’t buy a manual transmission, at least in the Forester. Brand new Crosstrek might be okay, which is the only other manual they offer in the “big three,” of Outback, Forester and Crosstrek. Also, you might get a good one or a bad one. Get them to note that if you have oil consumption issues it’s an automatic buyback, no three strikes you’re out or bogus “1200-mile oil burn test,” because then, like me, you are trapped with a faulty vehicle. I didn’t ask for this. Nor is there any benefit for me to have to endure this buying experience. I’m in the for long haul. I will continue to write about this and share this story because I’m lucky. I have a lifestyle that allows for me to fight this. I know there are others out there who aren’t so fortunate. I feel bad for some of the people involved because I know they just want me to go away, and I know that most of the cars Subaru makes are good. There doesn’t seem to be any urgency to really diagnose the problem. I asked yesterday if my only option was to drive it until something truly horrible happened, like the motor gives our or blows up, and was told that would help them narrow down the cause. Too bad General Motors got rid of the Saturn. After I bought my ’96 Saturn, the cable on the speedometer conked out. When I took it to the dealer, they had a loner [free] waiting for me at the front door, engine running, doors open, and when I told them we were off visiting relatives, they said no problem, just bring it back when you can! I think if you look at the new American culture it lacks almost any traces of integrity. Overall that is. Why do the right thing until you are held over the fire? No toca. No maneja. Y no fume. Peligroso. Subaru are doing themselves no favours letting this drag on – send them an email with a link to your blog. In Manchester, England, many years ago, I saw a great price for a new Leica M6 (due to a favourable exchange rate at the time). I asked David, the store owner, if he would save me one until the next week, as I didn’t have the money with me (it was a Saturday in the days before credit cards etc.). I’d dealt with David before; nevertheless, he took a brand new, boxed, M6 off the shelf and gave it to me, telling me to call in with the money when I was passing. I was back on the Monday to pay in full. I’ve told this story many times and I still shop at David’s store (Leica Manchester). Good service is rewarded by customer loyalty. Bad service and bad experiences like yours, Daniel, are harmful to you and Subaru alike. Time it was sorted. Daniel, I’m suffering with you! Not that I’m another victim of Subaru’s oil-stutter-bucking-syndrome. Because of outrageous pricing/taxing of foreign-built vehicles in Argentina I bought “your other favorite”, a 2010 Toyota Hilux SWR4 (known as Fortuner in some countries). It has 160k on argentinean roads on it, a major part of which could be classified as “tank prooving grounds”. So it rattles and squeaks, but runs, climbs, takes me wherever I dare to go and all that on 25mpg (diesel). And doesn’t burn oil. Too bad it isn’t sold in the US! Anyway, best of luck with resolving the issues and hoping that one (not too distant) day we will be reading about a Subaru-Adventure the way you imagined it when you bought the Forester! The HiLux is one of, if not THE best, 4×4 on the road today. We get the “Tacoma,” which runs great, and runs a long, long time, but it lacks the diesel. In fact, it’s a gas hog with approximately 15mpg city and 20 on the highway if you are lucky. Still, great trucks. I went through a Lemon Law episode in Illinois- VW diesel Jetta. Once I started the procedure, I became frustrated and stopped staying contact with the attorney….Until, several weeks after I had decided not to pursue, the attorney called me, and upon listening to my decision not to puruse, he stated: “Yeah, that is why they fight against it so hard, they know that most folks will just give up.” That did it. I was back on board. I figure the excercise with the independent mechanic was the point where the manufacturer finally became convinced I was going to follow through….I suppose the mechanic called VW’s attorney and told them that the car was there. I suppose a good percentage of those pursuing relief through Lemon Law give up before that point. In final analysis, It was one of the best decisions I ever made. I was rid of a problem car. It was a bit of a pain in the rear, but worth it. Wow, sounds like something out of a spy novel. Subaru is attempting to do the right thing but I’m fairly certain the odds of it happening are pretty slim. Had dinner with a friend last night, Subaru driver. When I asked about her car she said “Oh ya, the oil light went on, had to be towed and they put me in a oil burning protocol.” That was 2013, so the same exact issues are happening today. They are leaving with me no choice now. Well, after about 9 months of pretty severe problems with the Jetta, it finally ran correctly for a couple of months. As you can imagine, I was less than confident in the car. In a desperate attempt to get some consideration from VW, I proposed, if they would grant me a 100,000 mile power-train warranty, I would not pursue Lemon Law. They, of course, were not interested in that. So, before the attorney called me to see whether or not I was going to pursue, I had a car that was running properly, but still very apprehensive about how the car would run in the not-too-distant future. I figured, if the car was not assembled properly at factory, it was unlikely some tech (qualification level unknown to me) at the dealership would go deep enough to double-check everything. IOW, once a lemon, always a lemon. Not to mention, if someone interested in buying the car from discovering early problems by requesting service records. I know, that may never have happened; but, if it did, it would have put me in a position of revealing the problems….or concealing them. You bought a new car. You have been inconvenienced. As far as I am concerned, even if they line it out, you are owed some consideration: extended warranty, free oil changes, free periodic maintenance………. One last thing, If you have not already had the opportunity, Demand a face-to-face with the Regional guy. They were supposed to call me yesterday but no word. Nothing today either. I’m done. I just spoke to another friend with a Subaru, 2014 Crosstrek. Oil burning protocol. They had to be towed as well. It’s rampant. They clearly have issues but are programmed to evade and deny. Live and learn. Mine still isn’t running right. Picked it up from dealer on Monday, stuttered at highway speed on the way home. I own 2016 Outback. 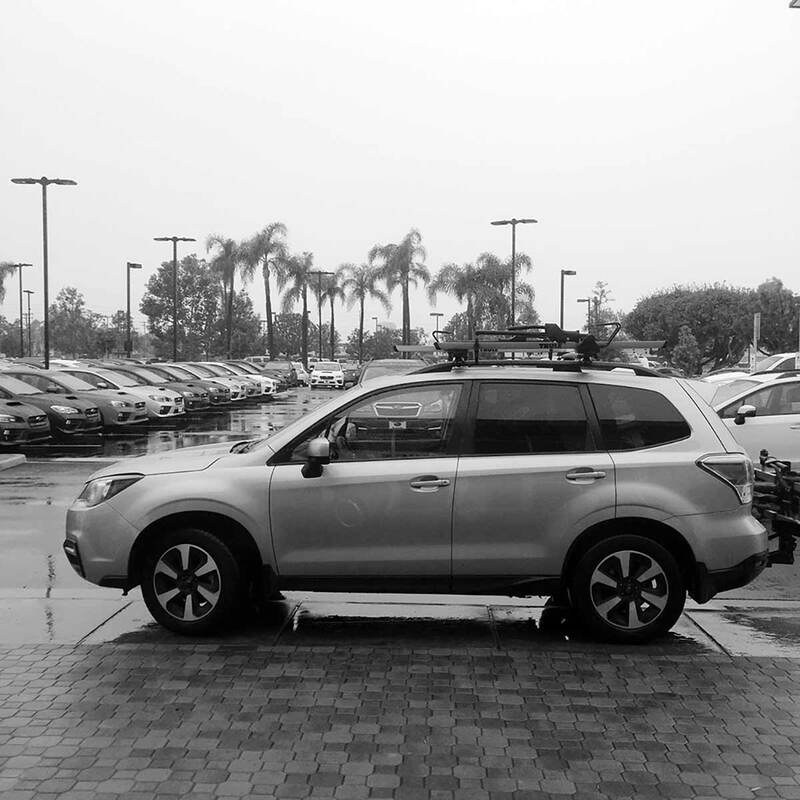 Had an issue (different issue) and after many calls (Santa Monica dealership was not helpful at all) got a hold of Kristopher Dreschsel of Subaru of America, Inc. in the Customer/Retailer Services Department. He out of NJ. He was great with helping with the issue. Sadly, I don’t have a direct line or direct email for him. The email address I do have is generic but always got to him. CustDlrServices@subaru.com & phone # 1-800-782-2783. Hope this helps. Thanks for that. I’ve got an open ticket with Subaru but they are hiding behind the oil protocol, which is so common they feel it doesn’t represent any issue at all. So for me to have to cancel trips is nothing to them. They simply do not care. I’m going to post and Tweet and create an IG account about being in oil protocol.